Today my students learned a little more about Mary and practiced looking up Scripture references. 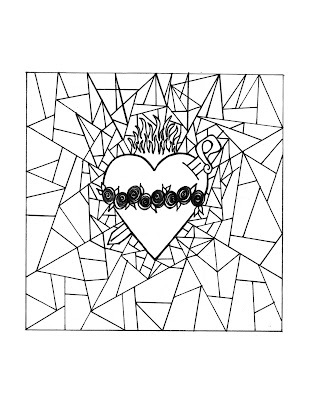 We have already been talking about the Immaculate Heart of Mary during our study on St. Maximilian Kolbe and the Miraculous Medal art project we made last week. I made some resources that you are free to use with your kiddos as well! I used the notes below and did a Bible Jigsaw activity. The kids each were assigned one of the Scripture references, and then had to look it up, read it, and summarize it. They shared that summary with the rest of the class and we decided what the sorrow was in the story. After they identified it, I gave them the "official" name and they wrote it in their notes. Then we went on to the next group and the next story until we had found all seven. This was a great method to review how to find things in the Bible and an effective way to hear all seven stories in a short amount of time (this whole activity took us about 20 minutes). We will save this info sheet and add it to our Fulton Sheen Notebooking Project in the Mary section. 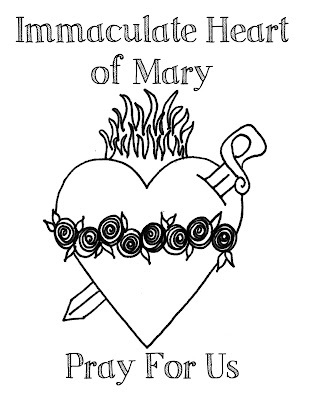 I used the base of those notes and made some Immaculate Heart of Mary coloring pages as well. The kids just got to take home this stained glass one and could color it if they wanted or give it away to someone. Sometimes it is just good to send them out with good materials so they have the option to keep learning when the school day is over. :) I also may have enjoyed coloring one myself! 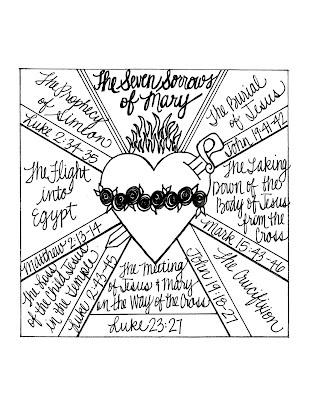 -Holy Heroes has a free downloadable coloring book with a page for each of the Seven Sorrows of Mary. 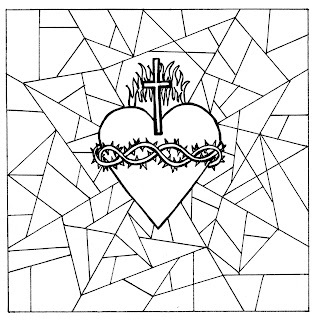 -Here is a single coloring page with a small picture of each of the Seven Sorrows. -Peanut Butter and Grace has ideas for celebrating the Feast of the Sorrowful Mother with your kids. 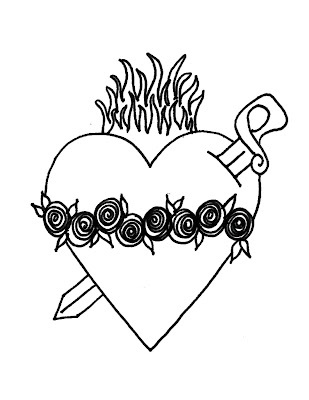 -Catholic Icing has tons of crafts and food ideas for the Immaculate Heart of Mary. Just found your blog & I just have to say thank you for sharing all of these resources with us! Thanks, Alyson! I hope you find lots of good things to use! hi Katie, may god bless you abundantly for selflessly sharing all these lovely resources.